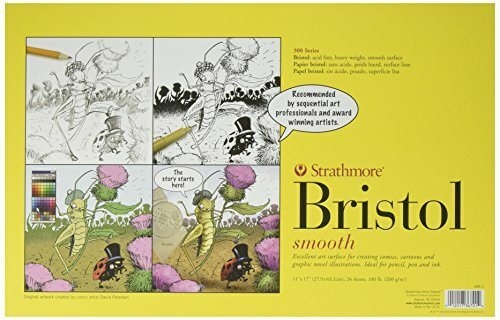 Strathmore 300 Series Sequential Art Smooth Paper Bristol Board sized 11 x 17 inches is an ideal choice for traditional and specialty pen as well as for the ink tools. 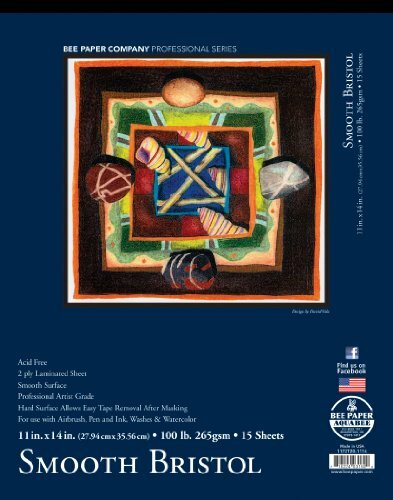 This acid-free board pad of 24 sheets also works well with specialty pens and markers. 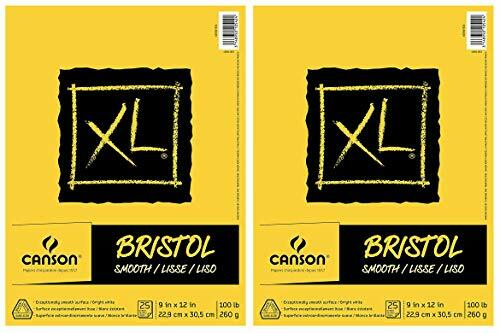 Perfect for both beginners and professional artists, this extra-large paper is a great choice when experimenting with various mediums. 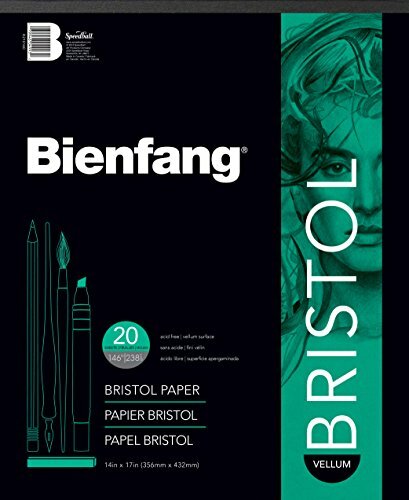 Paper has a fine textured surface and is ideal for graphite, charcoal, conte, pastels, marker, light washes, acrylic, watercolor, pen, and pencil. 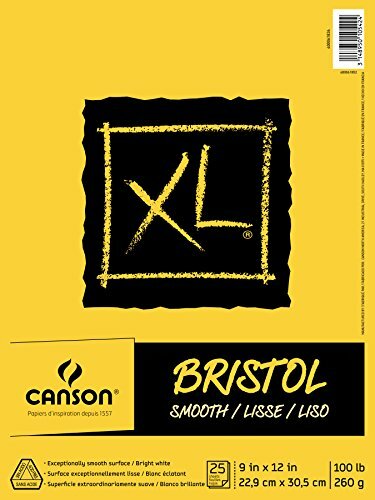 Canson XL Series Bristol Pads are a heavyweight, bright white, Bristol paper for high contrast with excellent erasability. The smooth surface finish is good for scanning. Works well with pen & ink, marker, pencil, and colored pencil. 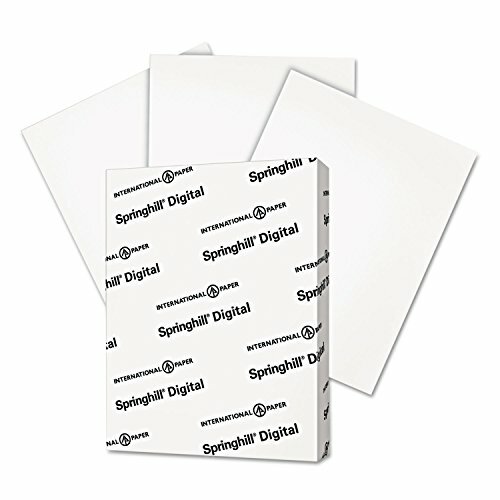 Each Pack is 9 x 12 inch XL Series Bristol Pad and contains 25 sheets of 100 pound/260 gram, acid free paper. These pads have a smooth finish. The smooth surface finish is good for scanning. Brand: Canson | Manufacturer: Coats & Clark Inc. Heavy weight, white drawing paper with fine surface texture. Use when you need a drawing paper that is acid free. Excellent for airbrush, light washes, markers, pen and ink, and pencil. Paper does not buckle when met media is used. 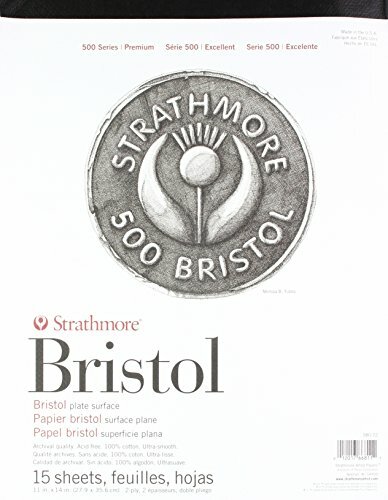 Two-ply, 100-Pound, neutral pH, archival quality smooth bristol. 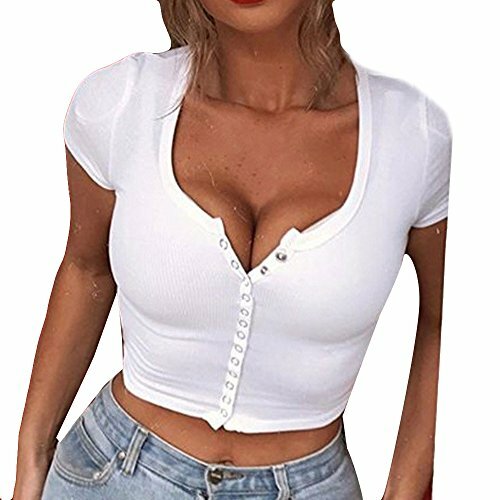 Professional artist grade, smooth surface.. Exceptional erasing qualities. For use with airbrush, pen and ink, washes and watercolor. Hard surface allows easy tape removal after masking. 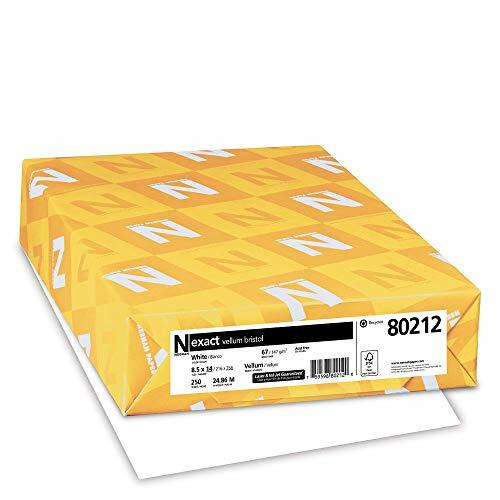 20 sheets per tape bound pad. 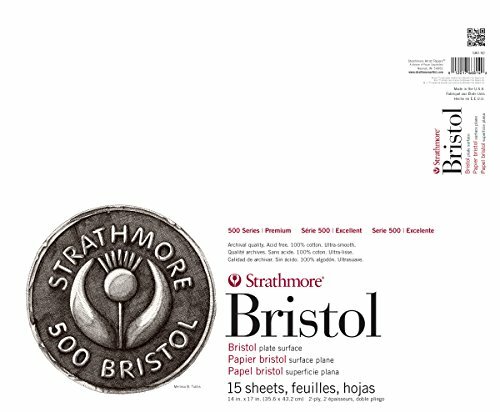 Heavy weight, white drawing paper with smooth surface texture. 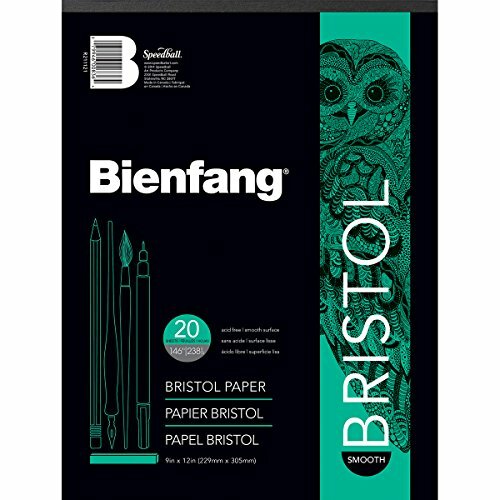 Use when you need a drawing paper that is acid free. 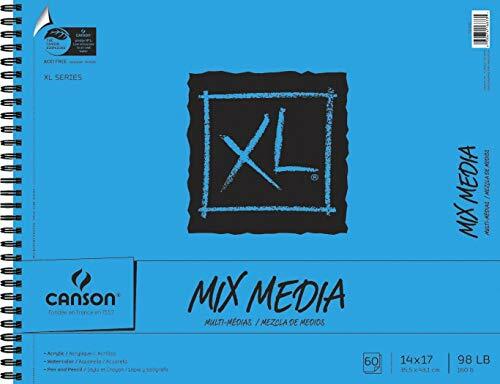 Excellent for wet media, airbrush, light washes, pen and ink, and pencil. Paper does not buckle when met media is used. Item Display Length: 24.0 inches, Width: 19.0 inches. 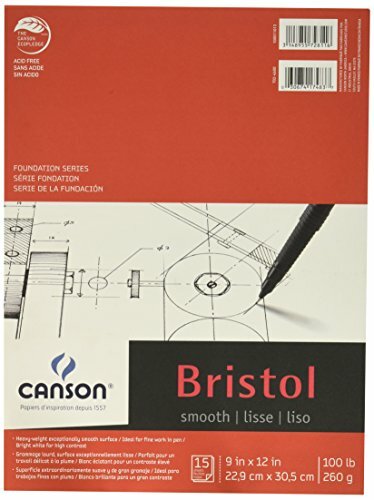 Canson Foundation Series Bristol Pads in smooth finish feature a heavyweight, bright white paper for high contrast. Suitable for pen and markers. 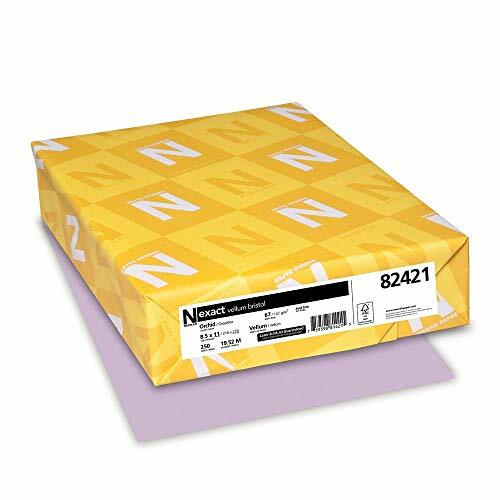 Each pad contains 15 sheets of 100 pound/260 gram paper, acid free, 19 x 24 inch smooth finish paper. 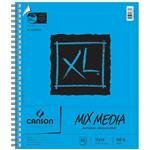 Brand: Canson | Manufacturer: Canson Inc. Size: 9 x 12 inch, Style Name: Smooth. 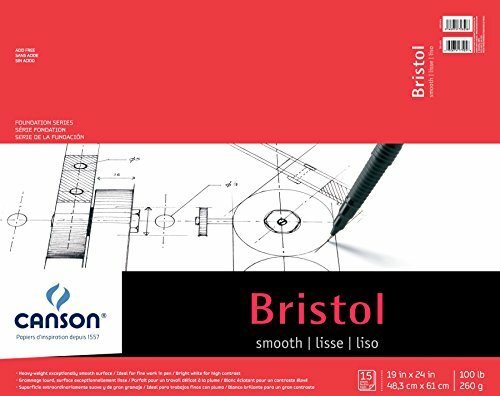 CANSON foundation series Bristol pads are a heavyweight, bright white paper for high contrast. The smooth finish on this pad is ideal for use with pencil, pen, ink, and marker and is suitable for colored pencil. 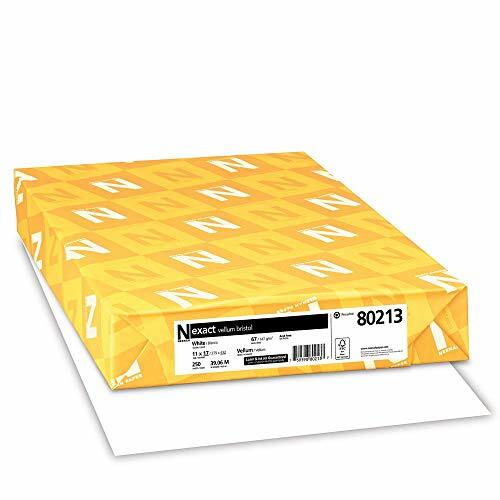 This pad is constructed with 15 sheets of acid free 100 pound/260 gram paper in a 9 x 12 inch fold over pad.